Cambridge, 2011. — 3nd edition. — 312 pages. + CD. Basic Grammar in Use is a unique combination of grammar reference and practice for students of North American English. It is an excellent resource for use as a classroom text or for students who are studying on their own. This new full-color edition is updated and also includes: a study guide to help students pinpoint exactly which social media language learning pdf 26/02/1993 · Basic Grammar in Use, Second Edition, is a new edition of a highly successful text for high-beginning to low-intermediate students. Each unit in the Basic Grammar in Use Student's Book is presented in a two-page spread, with simple, clear explanations on the left-hand page and practice exercises to check understanding on the right. 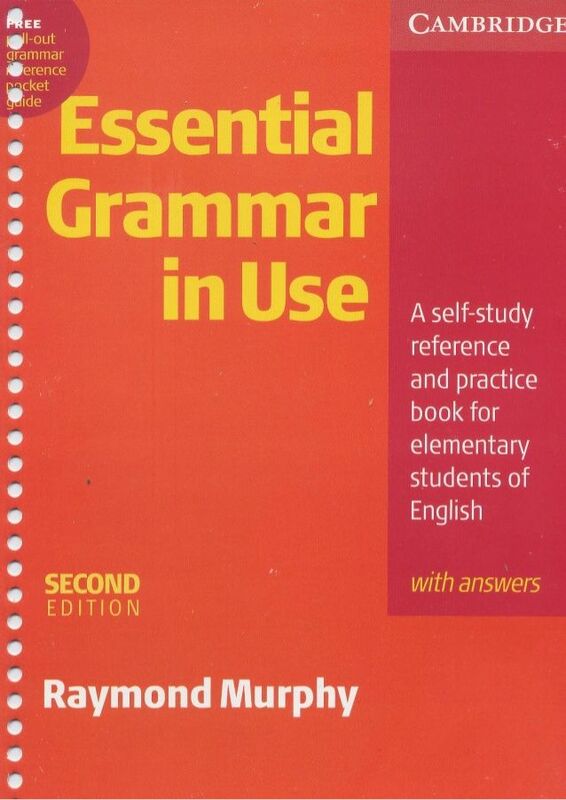 26/02/1993 · Basic Grammar in Use, Second Edition, is a new edition of a highly successful text for high-beginning to low-intermediate students. Each unit in the Basic Grammar in Use Student's Book is presented in a two-page spread, with simple, clear explanations on the left-hand page and practice exercises to check understanding on the right. how to use a ductulator pdf Basic Grammar in Use Student’s Book Basic Grammar in Use Reference and Practice for Students of English Second Edition Raymond Murphy with William R. Smalzer Designed for high-beginning to low-intermediate students, this text focuses on the fundamental grammar structures normally taught in basic or introductory courses. 26/02/1993 · Basic Grammar in Use, Second Edition, is a new edition of a highly successful text for high-beginning to low-intermediate students. Each unit in the Basic Grammar in Use Student's Book is presented in a two-page spread, with simple, clear explanations on the left-hand page and practice exercises to check understanding on the right. Basic Grammar in Use Student’s Book Basic Grammar in Use Reference and Practice for Students of English Second Edition Raymond Murphy with William R. Smalzer Designed for high-beginning to low-intermediate students, this text focuses on the fundamental grammar structures normally taught in basic or introductory courses.